Our locksmiths in Santa Clarita are professional and are licensed. They are not ordinary individuals who are only out to get your money and offer little or no quality service. Our locksmiths will give you guided, professional advice that will help you both in the long and short run. The locksmith rate in Santa Clarita varies and depends on the types of lock security services you requested. The standard rate of changing locks is approximately $30 to $300. The type of lock and your security status affects the locksmith services’ total price. Replacing your locks is done with important considerations or else just request for re-keying service that is cheaper. This happens when you accidentally lock your house and left the key inside. The locksmith rate in Santa Clarita with this kind of service is about $35 to $150, but services during evening, weekend or holiday can reach as high as $150 to $250. Having a key duplication is your choice. This is sometimes a great idea to have spare keys, but also not recommended when you do not secure them on safety storage areas. The standard rate for regular keys is $1 to $4 while $3 to $20 for special keys. Re-keying is an affordable means of having new keys while making the old keys of your house nonfunctional. You can even do the procedure on your own. The procedure is simple, just rearrange the pins in the cylinder of the door knob. This makes your old keys not working and only the new keys can open the doors of your house. * New Door Locks Service: usually requested when people move to a brand-new house or after thieves attack their house. The typical rate is $40 to $100 and an additional labor fee of $20 to $30 each lock. You may also request for re-keying instead of replacing your door locks totally. The minimum locksmith Santa Clarita rate is $40 to $100. Each lock cylinder requires an additional fee of $5 to $25. This kind of security lock is very convenient to use, but it cost expensive service fee and is not always secure since anyone can hack your security system. The integration of this system requires a fee of about $100 to $500 and even more depending on the type of service you requested. This happens to anyone, and you definitely need an auto locksmith, who is well-trained to open your locked car. Using the proper tools, they can unlock your car in just a short span of time without causing any damage. You can also request them to replace the locks causing you to pay $25 to $130, depending on the model of your car. The unlocking of your car might cost $30 to $50 depending on the lock’s types and design. 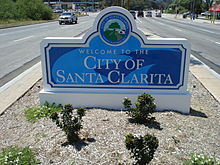 The locksmith rate in Santa Clarita during an urgent situation is about $50 to $600. There are aspects that can affect the service fee. Like, for example, if you are located in an urban place, you will be going to pay higher than when you live in a rural area. You will expect to pay $200 and even more depending on the degree of the locks system problem, time of service, and your location.